Hello my lovelies! I am in a very chipper mood today and I wanted to share my good news as well as LOTS of nail polish swatches. Everyone loves looking at pretty pics of polish, right? For the good news, I'm sure most of you know this but here in the States, Spring has officially arrived! I'm happy to say that the weather (for now) has been compliant so I finally get to bust out more t-shirts and sandals. I also got to rip off the yucky plastic covering we put on our sliding door for the winter. My plants are already thanking me for the increased sunlight. Also, I have a really awesome shopping find for you super petites who have trouble finding jeans. I heard that Pacsun carries 00's so I stopped by there yesterday. 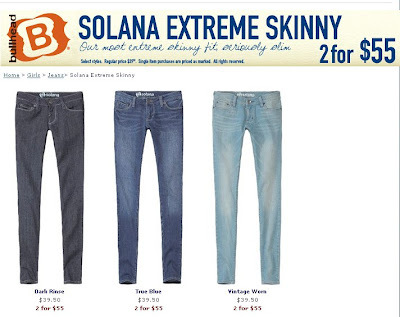 Almost every 00 was actually too large for me except for one style called Solana Extreme Skinny. These fit like a DREAM. I can't get over it. I ended up buying 3 pairs (black, dark rinse, and marine blue) because in my area, they didn't sell well and were put in the sale area for $19.99. This is a ridiculous price to me considering my kids' seven for all mankind jeans were over $60 on clearance! When I asked, the manager said they were still selling for full price on the west coast and indeed, I checked online and it was so. There's a sale on jeans though, 2 for $55 and if you have skinny chicken legs like me I highly recommend this cut. 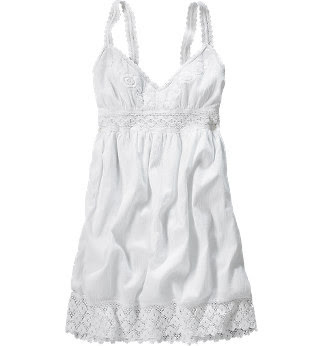 I also picked up this gorgeous cotton O'Neill dress with embroidery around the bust. The xs fit perfectly and I had a $25 off pacloot card so the whole situation made me a really happy camper. Yay for summer dresses! Okay, to kick off the polish swatches I have one of my favorite Spring polish colors, yellow. 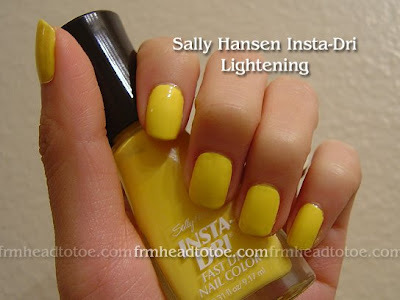 I totally think yellow will be big this year and I was really excited to find a drug store brand carry this color. I will say that I don't love the polish bottle and brush. 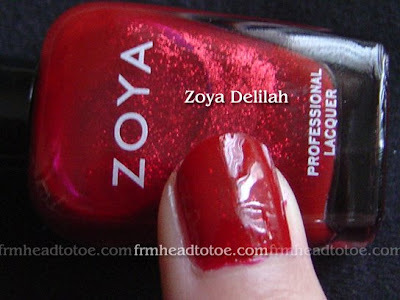 The brush is almost awkwardly wide which made my polish layers a bit thicker and clumsier than I'd like, but it is quick to dry as the name implies and the end result was totally worth it. It is a flattering shade for my skin tone and gave me a week of having excuses to accessorize with lots of yellow and warm tones. I also got a gorgeous greenish-blue with green iridescence from my cherry culture order called Jungle. I wish the camera could pick up the true depth. So pretty. 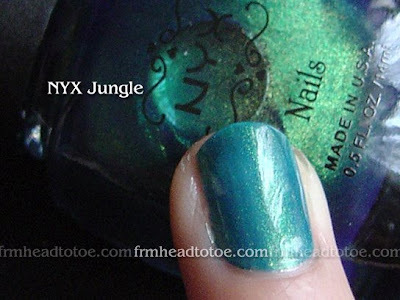 I was impressed with the formula NYX polishes have. For being so cheap, they apply really easily with nice color. 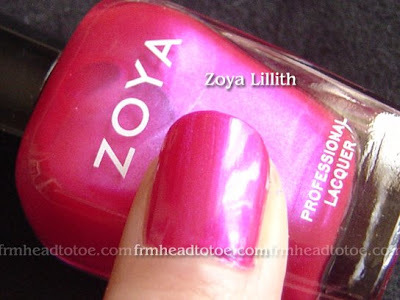 Now, here are all of my Zoya swatches like I promised. 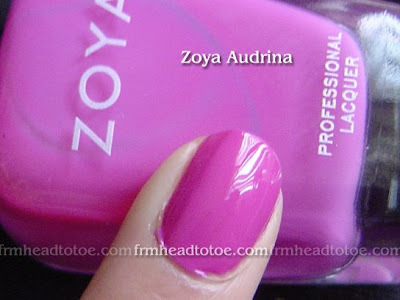 I will admit that not every bottle had the great opacity and application that Audrina had but aren't these colors gorgeous? Sienna kills me. 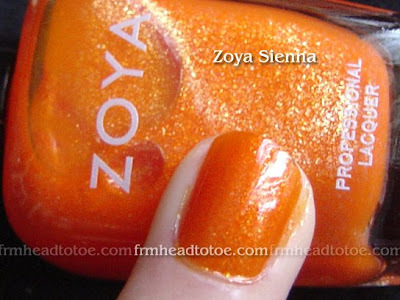 This orange looks awesome in person and actually looks flattering on me, not to mention it looked great at 2 coats. The lightest and darkest colors needed 3-4 coats for opacity and evenness which I think is worth it for Stephanie and Gaia. I loved Gaia so much I decided to paint the set this pretty white-with-gold-shimmer and add some Konading to it. This was the first time I used 2 colors in one stamp and I am really happy with how it turned out. This stamp set actually has a ton of nostalgic value for me because the prints are inspired by the designs on a Korean card game called 화투 pronounced "hwa-tu" which means "flower cards". 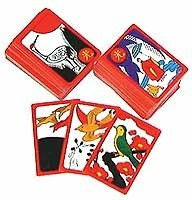 I used to play this with my grandfather when we would visit Korea, when I was little. We used little tiny coins (10 won, 50 won, 100 won) which were basically worthless since 1,000 won = $1 USD. Ahhh, the wonderful memories of childhood gambling. Hehe. Speaking of gambling, remember how I mentioned I won a giveaway from Polish Pixie for fauxnad plates with a Hello Kitty print on it? They finally came all the way from Denmark! 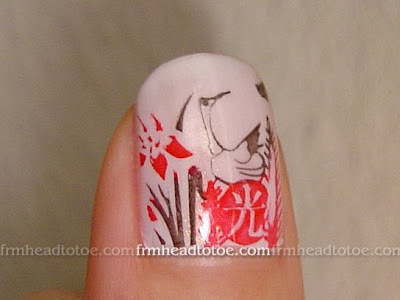 The Hello Kitty Konad tutorial will be my next nail endeavor. :D Inge from Polish Pixie is SO sweet and awesome so definitely visit her nail blog and post lots and lots of comments and tell her I sent you! Now I am going to eat my Springtime Oreos with yellow filling and daydream about sunlight and bunnies and flowers. Have a great weekend! OMG, I love every single polish...but I would say that Gaia with the konad, Jungle, Audrina, and the bright yellow are my absolute favorites (in that order). I never go to PacSun for jeans because they are usually too big. Have you considered the jeans at Aeropostale? Their sizes are short and tiny and don't fluctuate inconsistently like some other top brands (*cough* Abercrombie). I even threw a couple of my 00s Aero jeans in the wash and they shrunk so bad. They are now like a child's 10 slim lol Bummer. 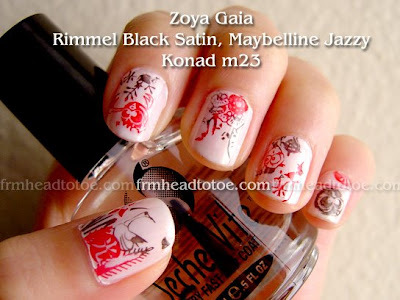 Love the konad stamping art, I loved to play hwa tu as well, when I was young! 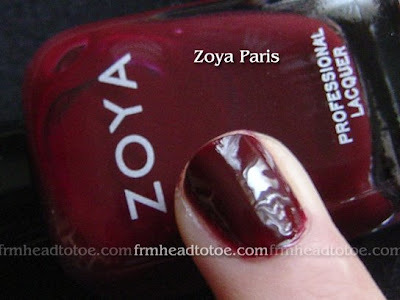 I love that last Konad manicure. So gorgeous. WOAH you dont fit 00?! you're so skinny. LOL i wear a size 0. i love their jeans. WOH! I loveee the nail colors. You're really skinny!! I don't think stores carry 00's ): . Size 0 at PacSun fits me well though. (: && $60 for sevens!? Even kid ones are around $100 here! 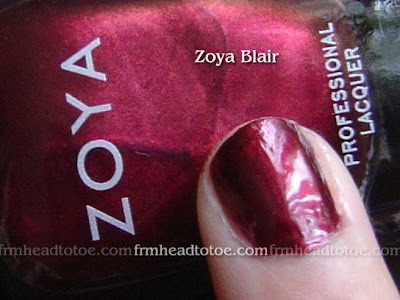 Deep Dark Red ; Gorgeous! what konad plate number is that? i totally love it! yay for koreans! Lilli: I haven't gone to Aeropostale in a while (years?) but last time I went, the OOs were too short and too wide for me. Maybe I'll try stopping there again. Anonymous: Well, actually I ended up going up to a size 0 in the black ones because they ran a bit smaller. So maybe try that? They ARE extremely skinny. Lol. 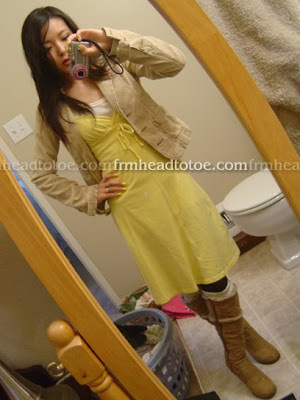 Ji: I've bought all my konad-type stuff from ebay. Kimmy: The seven's were 60-something on clearance sale! Originally they were like $120. So expensive for kids' jeans! I have been looking for a nice tangerine like Sienna forever! :) I love the beautiful Konad you did. JEN JEN JEN!!! I have no idea if you receive comments on old posts anymore but how did you do the two color konad?! Won't the color bleed into each other on the plate?